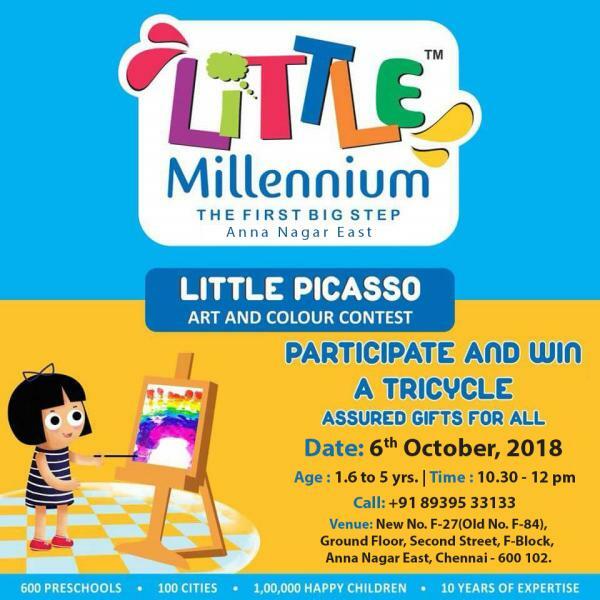 Little Picasso (Art Contest) at Little Millennium, Anna Nagar East. On 6th October from 10.30am – 12.00pm for age group of 1.6 – 5yrs. Registration charge : 250/- per child.